The warm weather did nothing to deter buyers from attending our 18th July 2018 auction. With over 470 lots on offer there was plenty to choose from. 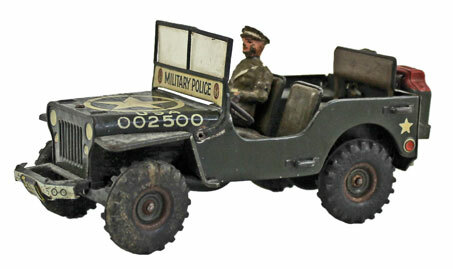 In the Toys section this unusual Arnold tinplate clockwork USA Military Police Jeep with driver realised £216. 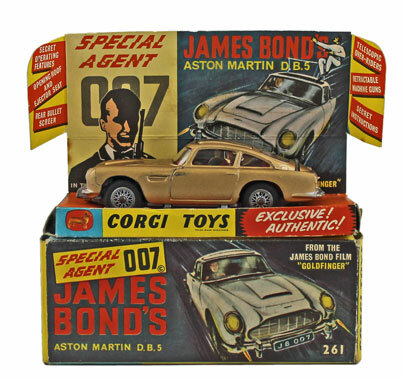 Moving on to the die cast section this Corgi James Bond Aston Martin DB5 No. 261 realised £180. 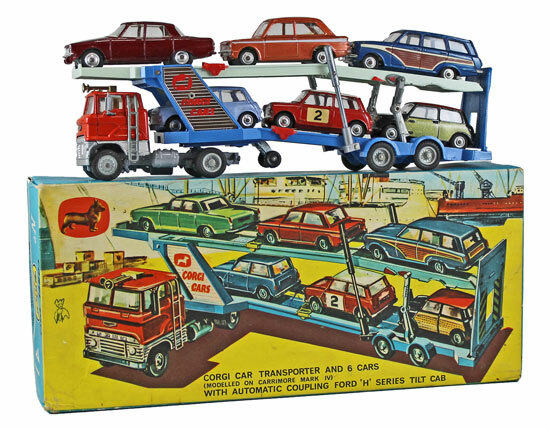 And this Corgi Car Transporter Gift Set No. GS41 sold for £348. 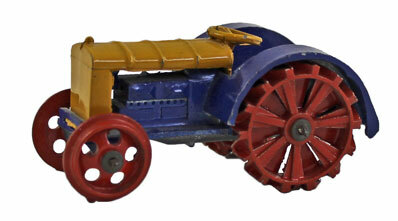 In the Dinky section this unboxed Farm Tractor No. 22e achieved £132. This Austin 7 Countryman No. 199 achieved £168. 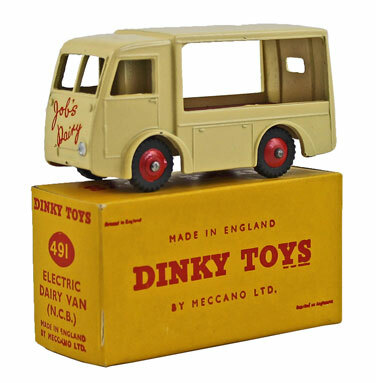 And this Dinky Electric Dairy Van No. 491 ‘Job’s Dairy’ realised £144. 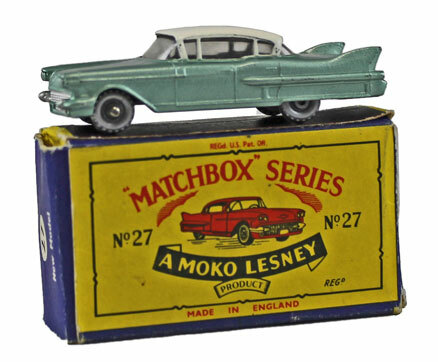 In the Matchbox section this Regular Wheels Cadillac Sixty Special No. 27c sold for £156. 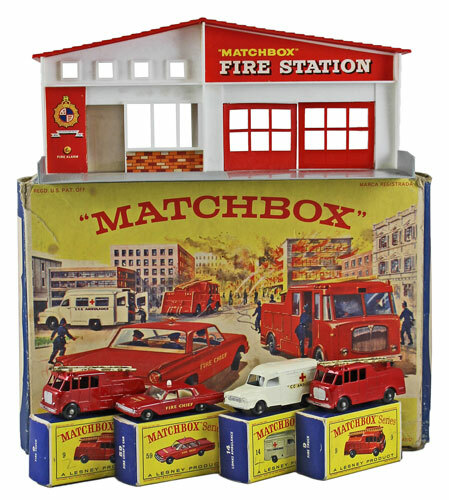 And this Fire Station Set No. G-10 achieved £156. 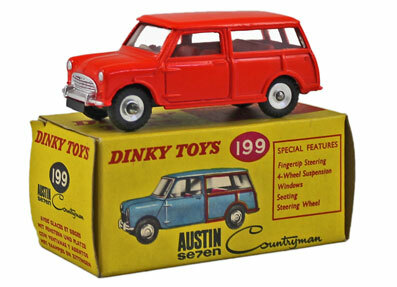 Modern die cast models sold particularly well in this auction. 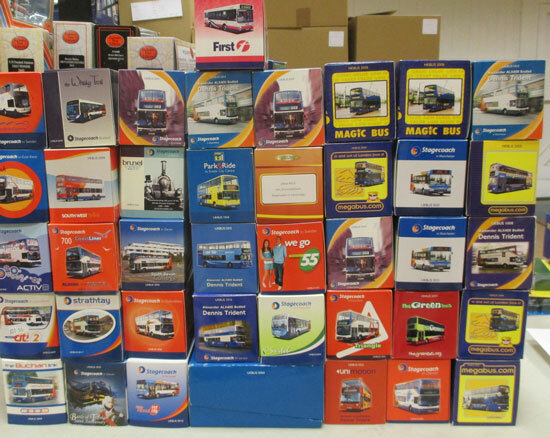 A collection of 39 Creative Master Northcord 1:76 scale buses sold for a whopping £720! 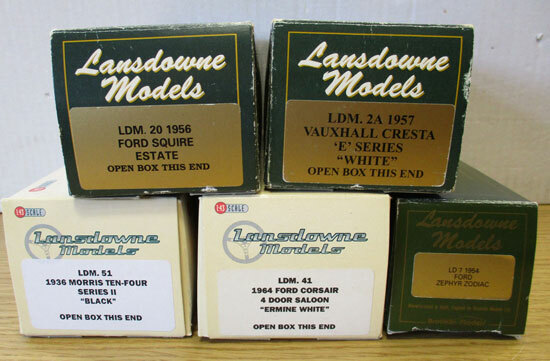 A range of 32 Lansdowne Models offered in 4 lots realised a very respectable total of £1,056. 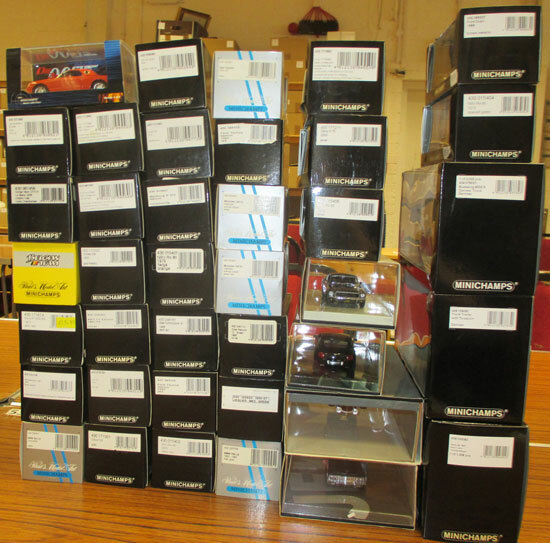 And a collection of 39 Minichamps Paul’s Model Art achieved £630. Our next die cast, model soldiers and toys auction will be held on Wednesday 19th September 2018. The full catalogue for this sale will be on our website in the next few weeks or keep an eye on our Twitter and Facebook pages which will include updates of our latest auction news.